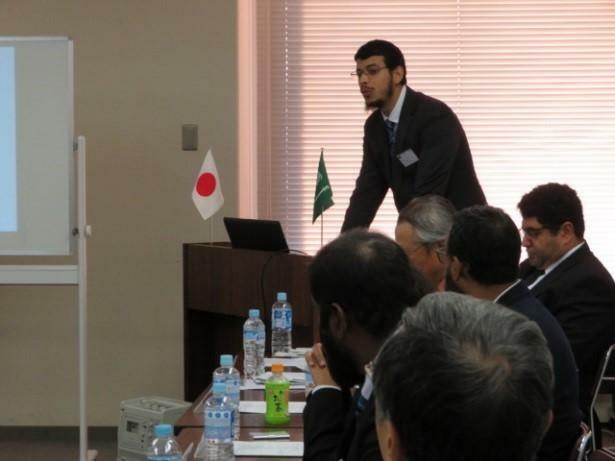 JICE organized and conducted three training programs for Saudi Japanese Automobile High Institute (SJAHI)* : Management Program; Instructor Training Program, both from November 11th to December 15th 2018; and SJAHI Student Overseas Internship Program in Japan from July 29th to August 7th, 2018. 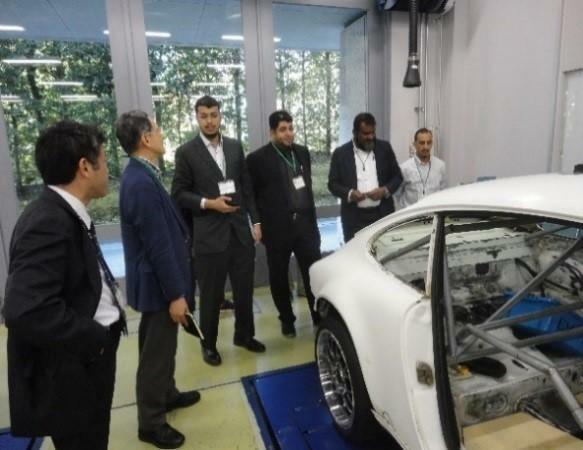 After taking lectures on business manner, Japanese culture and language, and report writing at the JICE headquarters, the participants in Instructor Training Program received on-site training to catch up with the new automobile technologies and latest maintenance technique at Toyota Motor Corporation and Mazda Motor Cooperation in addition to learning about the method of school management and teaching method with the participant of the Management program. Management Training Program joined by the Deputy Director from SJAHI, is focused on the method of school management, leadership cultivation, test and evaluation system, and establishment of curriculum. It is intended to develop human resources who will contribute to sustainable operation and management of SJAHI. 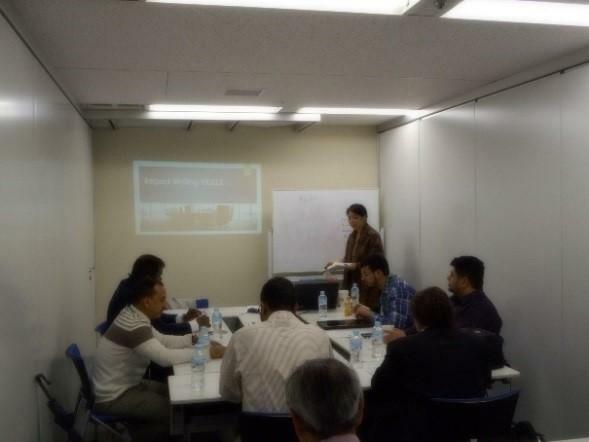 JICE arranged matching site visits to Nippon Engineering College of Hachioji, Honda Technical College Kanto, Isuzu Motors Limited, Toyota Nagoya Technical College, Toyota Tokyo Technical College, and also received training at various institutes such as Yomiuri College of Car Mechanic and so on. 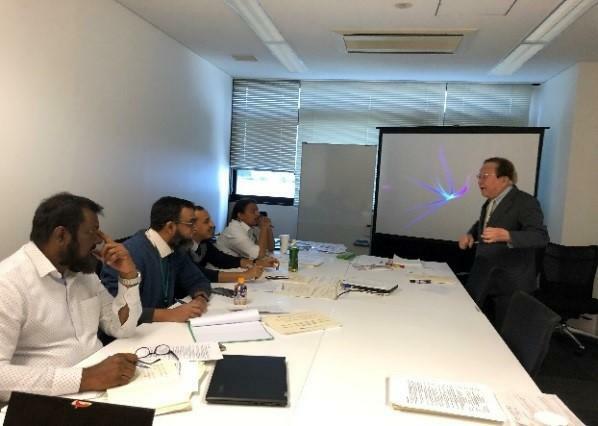 In addition to above training, the participants joined “SHOP Seminar” hosted by RIIM ChuSanRen,Inc, a business constancy firm, to learn about business approach and management method characteristic of the Japanese companies. As a wrap-up of the above two programs, JICE held the final reporting & presentation session and a farewell party in the presence of the invited guests involved in both programs. Each of the SJAHI participants gave a presentation about what they learned through the training program and their action plan after they returned to SJAHI. 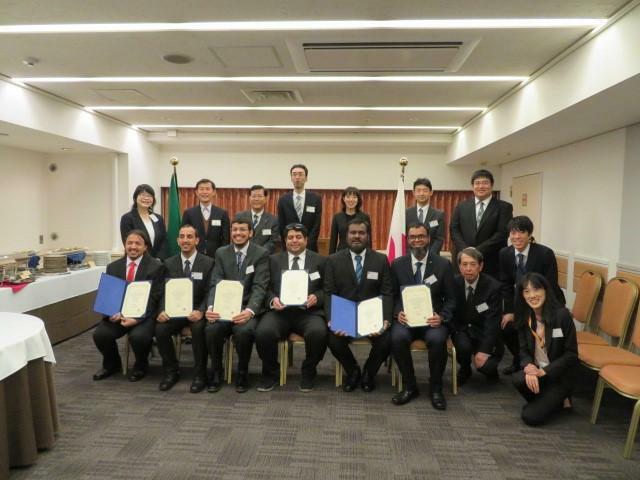 Both training programs ended with success thanks to the support and cooperation of Ministry of Economy, Trade and Industry, Japan Automobile Manufacturers Association (JAMA), each accepting company and school, and all other supporting organizations. The SJAHI participants are expected to play a greater role in the Institute by practicing the knowledge and skills acquired in Japan. JICE arranged and conducted SJAHI Student Overseas Internship Program in Japan from July 29th to August 7th, 2018 designed for the 15 selected SJAHI students led by two SJAHI staff members. This internship program focused on advanced automobile maintenance technologies in order to enhance knowledge and skills of SJAHI students on automobile maintenance. 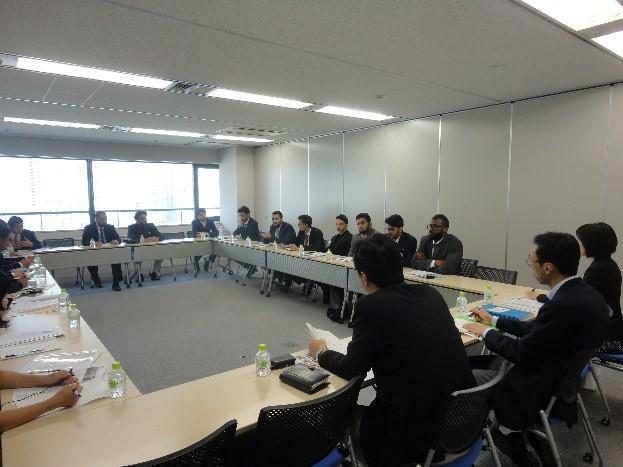 The interns received training at various institutes such as Nissan Heritage Correction, Nissan Customer Service Center, Honda Technical College Kanto, Kanto Mitsubishi Motor Sales Meguro, Toyota Tokyo Car Stage Mitaka, Nippon Engineering College of Hachioji, NT Auto Service Showajima SC, and Isuzu Fujisawa Factory. They learned many subjects including EV and hybrid vehicles, customer oriented service spirit required for car dealers, work ethics and 5S and KAIZEN activities through lectures, practical training, and observation. With the number of graduates exceeding 2800, SJAHI has become one of the most reputed technical schools in the region. Looking forward, JICE will be committed to the human resources development of Saudi Arabia in support of its Saudization strategy of employment. * SJAHI was established in September 2002 based on public and private cooperation of the Kingdom of Saudi Arabia and Japan (Japanese side: Japan International Cooperation Agency (JICA) and JAMA) by the request of the Government of Saudi Arabia. 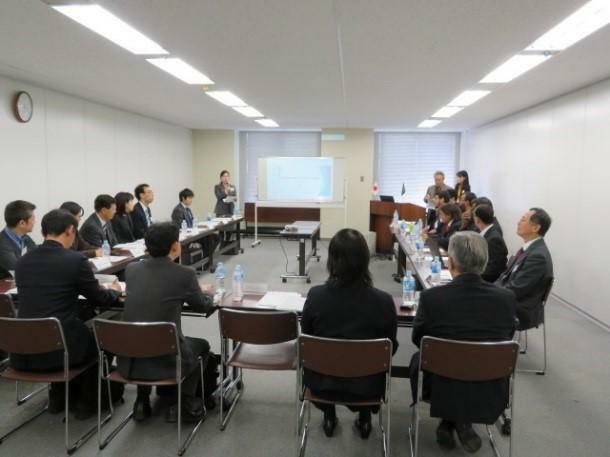 After the cooperation by JICA completed in 2009, JICE was assigned as an implementing organization of Japanese side by Ministry of Economy, Trade and Industry, and has organized the training programs in Japan, dispatch of long term experts since the assignment.